(HOST) Today is the 210th anniversary of the birth of Geprge Perkins Marsh, and commentator Bill Mares is thinking about the influence of this Vermonter, who has been called the world’s first environmentalist. (MARES) George Perkins Marsh who was born in Woodstock and educated at Dartmouth College. A person of extraordinarily wide interests and accomplishments, he was a lawyer, bibliophile, linguist, Congressman, writer and diplomat. 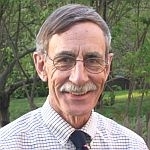 He even served on Vermont’s fisheries and railroad commissions. He spoke six languages and could read twenty. He wrote two books on the English language and a grammar of Icelandic. He was instrumental in bringing camels into the American Southwest just before the Civil War and he wrote a book on these remarkable beasts. He helped to establish the Smithsonian Institution. His written work helped to create the Adirondacks Park. It is probably fitting that this great Renaissance man, who served as American ambassador to Italy for 21 years, was buried in the cemetery in Rome. Three years into his record stay as Ambassador to Italy, he published his magnum opus Man and Nature. Marsh wrote this book during a period of great industrial pride and puffery. The United States was rushing to catch up to Britain and Germany. Capitalism was morphing into world-wide imperial rivalries for markets and resources. He cautioned against this over-weeming economic arrogance and warned against its unintended consequences. Through his wide travels in the US and around the Mediterranean basin he became aware of the depredations that humans wrought upon the environment – from destruction of fisheries and forests in Vermont during his lifetime to the landscape in Turkey, Greece and Palestine. To read excerpts of this book today is to be struck by their familiarity, despite their academic form and some archaic words. You pinch yourself in awe to realize that he was the first person to show the TOTAL interdependency of environmental and social relationships. The clearing of once-lush lands surrounding the Mediterranean, he said, "has brought the face of the earth to desolation almost as complete as that of the moon." In one of his most famous passages, he wrote that Man has forgotten that the earth was given to him for useful purposes, and not – quote – "for consumption, still less for profligate waste." Though he acknowledges that evolutionary change is inevitable in nature, he insists that – "man is everywhere a disturbing agent. Wherever he plants his foot, the harmonies of nature are turned to discord." He continues: "Man pursues his victim with reckless destructiveness; and while the sacrifice of life by the lower animals is limited by the cravings of appetite, he unsparingly persecutes, even to extirpation, thousands of organic forms which he cannot consume." As Stephen Trombulak, a conservation biologist at Middlebury College has written: "Marsh quite literally set the stage for society to confront the reality that we had better mind our manners with regards to the natural world, or we might not like the consequences."